Why my website red flagged by browsers? Deceptive website warning. 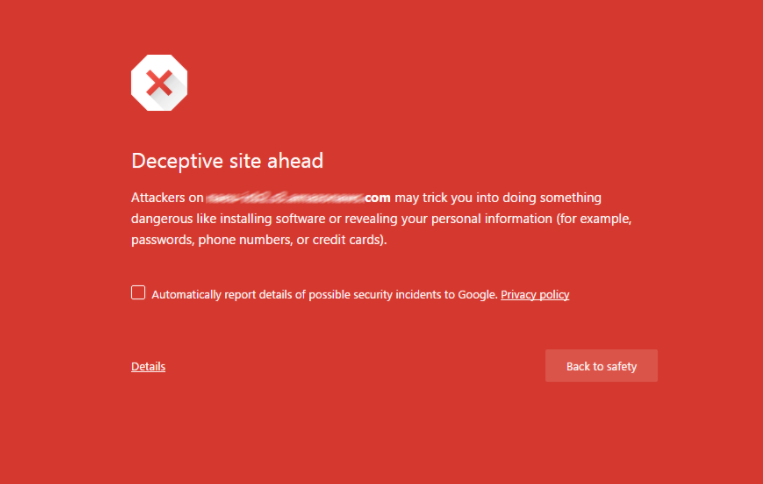 If you see a windows popped up with title "Deceptive Website Warning" this means your website has some malware or script issues. This malware is identified to steal information from website visitor hence the browsers showed this warning. What Can You Do to Fix the Site? To solve this, you will need to scan your site and remove the malware and script. Make sure always upgrade your WordPress version and any plugins. After you’re confident that the malware and scripts were removed, you can now request a review. The review process happens through Google Search Console (formerly Webmaster Tools). Google is very fast with malware reviews (as opposed to their reconsideration requests that can take weeks). The alert should be removed within 24 hours, but it usually happens in only a few hours. You can also refer to our Video Guide or Google's Guide on reviewing your site. If you need more information or assistance, kindly contact our support team by submitting a support ticket here.